Solar Authority Window Film is a professional residential and commercial window film and window tinting company. Whether your home or office is suffering from fading damage, excessive heat, distracting glare or lack of privacy, Solar Authority Window Film can solve it all. We take great pride in being a QUALITY FIRST company. Elite Shutters & Blinds, Inc.
Our goal is simple: Provide our customers with an unequaled product and to back it up with outstanding customer service. Locally owned and operated for over 20 years. Our vision is to deliver a quality product with unsurpassed service, that would provide savings and comfort indefinitely. For energy-saving Residential and Commercial Window Tinting in Western North Carolina, Southern Virginia, and the Tri-Cities in Tennessee, we are the only authorized Premier Dealer for 3M’s state-of-the-art Prestige Series window film. 3M is a top of the line window film with amazing clarity. In 1966 3M invented the world's first window film and is one of the world's leaders in adhesive technology. 3M is "the name you know, the products you trust". They are so confident in their product they will back it with a lifetime residential warranty. In May of 2015 Buddy Barker from Blowing Rock, NC purchased the business. He owned a 3M Window Film business called Appalachian Solar Control in Boone, NC. The two companies were merged together with many aspects of Tint Works remaining the same. Mr. Barker also has many years of experience in the window film industry. He is carrying on with the same quality products and unsurpassed service. Our office is located in Asheville NC but we still service WNC, Tri Cities TN, Roanoke VA and surrounding areas. Budget Blinds of Asheville is a locally owned and operated company. I grew up in Hendersonville, so "locally owned and operated" isn't just a clichéd saying. I'm truly invested in the WNC community. We offer a wide variety of window coverings from a large network of manufacturers. Whether you are a homeowner in need of just one blind or a commercial business looking to cover an entire building, no project is too big or too small for us. We pride ourselves on our exceptional customer service, knowledge and resources. Let Budget Blinds of Asheville help design your next window treatment project. We sell all types of blinds, shades, verticals and shutters. Our business mission is to provide our customers the best service and value for a quality product. We adhere to Warren Buffet's statement that "Price is what you pay, value is what you get." We also do custom picture framing and have framed art and prints. Carolina Window Fashions presents a unique approach to thier clients by applying the latest knowledge and innovative thinking concerning the value of their home and interior possessions. We have shifted the industries thinking by evaluating the entire home and looking at things one might not see as connected or related to window treatments. We assist clients, architects and designers with pre-planning to provide the ideal application. What we do Carolina Window Fashions is an innoviative, research driver company. Our approach is beyond the typical. we have researched the industry for over 29 years. Our current research has uncovered astonishing facts in the modern causes of interior home damage, energy loss and unnecessary financial expenses. Carolina Window Fashions has saved our customers tens of thousands of dollars through the application of innovative technologies in UV protection, light control, energy efficiency and privacy. Company History Carolina Window Fashions began as G&S Installation Services in 1997 and evolved into its current structure by responding to the needs of the market with 29 years of window fashion industry experience that Greg Seiz, owner and company Vice President, has accumulated along the way. That accumulation of experience in the window fashions industry began shortly after Greg graduated from a technical school in 1978 where he developed the high degree of finish quality expertise that is apparent in the product the company produces today. Over the years Greg has been involved with an assortment of design and window fashion companies including Seiz enterprises which evolved into Wintron Window Covering that was later purchased by Hunter Douglas preceding the family’s re-location to the high country. G&S Installation Services was formed. 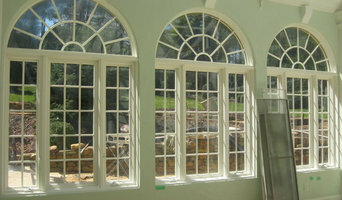 as a window fashion industry wholesaler to the high country area designers and builders. 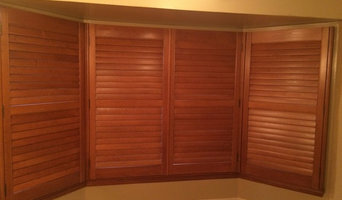 In response to a need, for a quality interior shutter, G&S grew into the Carolina Shutter Company in 1998 and began to manufacture interior shutters with the industries only transferable warranty while applying the high degree of finish quality that Greg had developed so many years ago. In May 2006, the retail branch, Carolina Window Fashions, a division of the Carolina Shutter Company was formed. CWF represents 7 selected manufacturers offering a full line of product choices with lifetime warranties, along with our own interior shutters. At Blinds And Designs you will find more than great window coverings. We have been proudly serving our customers since 2004. Whether you are shopping for a single window treatment, redecorating your entire house or seeking the solution to a complex design challenge, you'll find great people who have the knowledge and expertise to help you put it all together. We are a locally owned family business that provides window treatments throughout the WNC area. 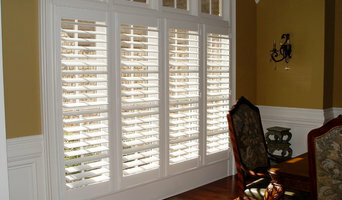 We offer a free consultation, wood and faux shutters, shades, blinds, drapes, security shutters, and exterior shutters. We will also do repairs on any existing window treatments. As a company, we focus on unparalleled customer service. I come from a custom window coverings background and I am happy to help with any window covering project you have in mind. Call, text, or email with any questions regarding your window treatment needs! Since its founding, we at Budget Blinds Serving Spartanburg have proudly served the local community by offering high quality and stylish window coverings for any occasion. Our goal is simple: to provide you with the best products and services in order to enrich your home environment. Our lavish selection of window treatments includes shutters, blinds, draperies, shades and even window film. Regardless of the window’s size or shape, you can rest assured Budget Blinds Serving Spartanburg will have a customized window coverings solution ready for you. Call us today to schedule your free in-home consultation. We’ll bring you the highest quality and most fashionable window coverings in Spartanburg and surrounding areas. Looking forward to helping you beautify your home! Drapery Workroom fabricating custom window treatments and bedding. HomeDecGal owned by Susan Woodcock and Rodger Walker is a custom sewing educational resource and to-the-trade workroom offering over 25 years experience making window treatments, pillows, bedding and other home decorating projects. Susan Woodcock is the former editor-in-chief for the trade magazine Drapery & Design Professional, published by Custom Home Furnishings Academy and the former Brand Experience Manager for Rowley Company, a manufacturer and distributor of decorating supplies and more. 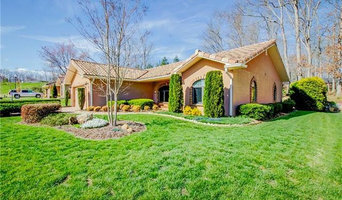 Susan owned Tavern Hill, a professional custom drapery workroom from 1988 - 2009 located in central VA. Tavern Hill provided hand crafted window treatments and home décor accessories exclusively to the interior design industry. She is a featured home decor sewing instructor for Craftsy.com, on online educational platform, and was an instructor for the Custom Home Furnishings Academy (CHFA) from 2003 - 2013. Susan is a well-respected, international speaker for industry events and is known for her attention to detail, quality techniques and fun personality. She is a member of the Window Coverings Association of America. Susan and her husband Rodger Walker are producers of the Custom Workroom Conference and Marketplace, an educational event and trade show for the custom workroom industry. In 2017, they opened Custom Workroom Technical Center, a professional training facility dedicated to the custom workroom industry with weekly hands-on classes for window treatments and soft furnishings. Features about Susan, examples of her work and articles written by Susan can be found in many publications including Sew What? and Custom Home Furnishings (now Drapery & Design Professional), Window Fashions-Vision, Drapery & Window Coverings, Southern Living, Arts & Crafts Homes, SewNews and the books Window Dressings and One-Yard Wonders. Her book, Singer(R) Sewing Custom Curtains, Shades and Top Treatments was published in 2016. At Carolina Blinds, window treatments are our speciality. From inspiriation to design to installation, our experts make beautifying your home easy and economical, providing the utmost service every step of the way. No matter what your needs, taste or budget may be, Carolina Blinds can help you find the perfect window treatments. Got a problem window? Our experts can solve your problem! We offer the full line of Hüper Optik® window films for residential and commercial applications. As the areas licensed Hüper Optik dealer, and films installer, we can consult with you to determine the best product for your needs and budget. One of the most important things to remember when choosing a film is that it contains no dyes or metals. Dyes, just like in your clothes, will fade and discolor over time. Metals will break down and corrode over time. With Hüper Optik our films 100% dye and corrosive metal free. Interior designer with focus on creating beautiful window fashions and soft furnishings to enhance any home's decor and comfort. Professional soft furnishings fabricator for over 42 years.